The seven portal operators - . : Хроники ментальных путешествий :. After saying good-byes to the light beings, I directed the subject to the recurrent dream that took place in 2036 to speak to Susanna (see part 1 for reference). Q: Does Susanna know of any imminent threats that maybe coming from under the surface of the planet? A: Yes, there was a threat at one point, but it was stopped by the inner earth people. Q: does she mean Adama of Telos? Q: Did the inner earth people make contact in the aftermath of 2012? A: yes. They trained the select few that would lead the ascension. Q: and how many are we talking about? Q: can she tell us anymore? Who are they, how did they get trained? Q: and at which point do these seven people become aware of their mission? A: approximately one month before the peak of ascension. Around November. Q: and what happens exactly at that point? memories come back to them, they get contacted or...? A: no. even to this day their location are kept hidden. A: no. no names are given to protect them. Q: so they will simply lead the ascension... do they have any specific... let's call them super-powers? A: their level of ascension is the highest, but also the most controlled. Also the mental influences and the control of their physical environment is much higher. Q: but they dont really look or act any different? Q: would it be correct top state that there are 7 individuals around the world in specific locations? Q: does she know where in the world they are? A: they're all concentrated in the Northern hemisphere because its the one that will have the least amount of casualties. Q: what casualties, the virus? A: the virus and the climate changes. Q: are these the ones that open the portals? Q: can she tell us about that? How do they call up the portals? A: there are only specific places where the portals can be opened, specific coordinates.. based on the earth's energy lines. 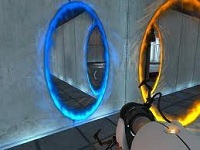 Q: and what do the portals look like? Q: interesting... so you would need to go to the stone and then basically take the lift up? Q: I still do not understand why all people won't make it through the portals? A: it depends on their vibration. Those that haven't reached the correct frequency, they won't be able to channel themselves into the frequency required to transfer themselves into that state. It just won't happen. Q: and how many people can actually go through the portals? A: about 30% have gone through but they can come back at any time. The portal is simply a safety zone, like lifts. Q: she mentioned stones... do these stones have some kind of identifiers around them, are they protected in any way, or are they just placed randomly?.. are they some kind of known objects? A: these portals were built near spiritual sites... or more like the sites were built near the portals, because of the fact that they lie on higher energy points. Q: so, for example, Stonehenge - is it one of these portals? Q: so there is usually an entire installation? Q: and as of which moment will the portals be activated? A: they are ready to be activated already. The problem is that people that can open them are not ready. Q: ok... when is the first portal opening that she knows of from history? A: she says the first one was opened in Scandinavia, late December. Q: ok... so there are 7 people and 7 portals, I presume? A: no. there are 7 people, but dozens of portals. Q: ok, do these 7 people live nearby the portals? A: not at all. But their timelines will bring them to where the portals are at some point. Q: which countries will be most touched by the virus? A: Asia, US, most of south America and of course the immediate neighbors to Great Britain. Q: ok. at which point does the usage of money seize in the world? A: she can't quite remember, because she was so young, but she thinks it took place roughly a year after ascension. Q: ok... What about the pole shift? Did magnetic or geographic poles shift? A: yes. magnetic pole shift took place in march 2013. There was essentially an equatorial shift of about 8-9 degrees. Q: ok, but that would cause massive tsunamis? A: correct. That's why many coastal regions were abandoned. But many people have gone through the portals by this time. Q: wouldn't that mass of people all going through the portals simultaneously cause havoc? A; no, the ones that were going though, they were calm and organized, they had nothing to fear... it's the ones that stayed behind that lost their calm. The governments tried to control those that did not want to ascend, to restructure entire countries as they saw fit by turning them into extremely controlled environments. But there's much chaos otherwise. Q: ok, I see... What about the 3 days of darkness? Does she know what that is about? Q: so what is the best way to prepare for these events? Should we stock up on things like food etc? A: yes, of course. Food, water, dry goods, non-perishables... But the governments will organize many supplies, because it is in their interest to keep people happy... they will try to keep as many followers as possible. Q: Ok, I see... Are there any major notable events such as earthquakes that take place before the end of the year? Q: does anything happen on September 22nd or October 22nd, as some prophecies claim? As the reader may have understood by now, the information is often given unwillingly and sometimes lacks substance. I personally find it rather suspicious, but who are we to judge "their" ways of communication? The reason I posted these transcripts is because much of it resonates with me and is also confirmed by other sources. The rest we will know in due time. As other skeptics, I also find that there is an element of disinformation in all this, and urge everyone to apply their own truth meter. In a way, this very truth meter, is part of a maturity exam, which we are currently undergoing, and nobody is going to give us straight answers. We must find them ourselves. It is due to this fact that we often find inconsistencies in these sessions, yet I cannot rule out that this particular channel has not been "compromised". Everything to do with tsunamis, viruses and other Armageddonы needs to be taken as one of the probable futures. In other words, the future is never decided, but being warned means being prepared! I am personally much more interested in the ongoing Ascension/ Shift, which is so often spoken of nowdays. This is precisely why I dedicate some sessions to this particular topic and share the results. The reader is free to decide what resonates with them and apply their inner voice for further guidance. Those of you that do not resonnate with the given information are free to look for answers in mainstream media, where professional journalists report on current events in most unbiast and truthful ways.